Plays, scrobbles and listeners for superior LastFM promotion that works like a charm! Own Last.fm promotion, with a bunch of mass plays that'll boost your tunes on the huge online radio. 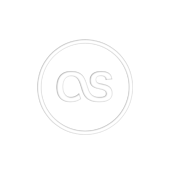 With this pack, you get 20 listeners on Last.fm, delivered via a completely safe and easy method. We do all sorts of music promotion, and Last FM is no less. Get noticed online fast and easy! Hey, while you're at it, why not browse our other Last FM promotion services? Treat yourself to mass plays, listeners and mass scrobbles for your account and music. Here you go!